HELP! I MARRIED A MONSTER FROM ANOTHER COUNTRY! I have made a rather complicated international marriage which I have come to have mixed feelings about. My husband is an American who had been coping alone with three children after the death of his Japanese wife. He asked me to sign a contract stipulating that I won't demand any assets if we get divorced, because he wants to keep his assets for his children. I agreed with it because my motivation in marrying him was not to get his assets. 1. We manage our assets separately. 2. I have no rights as a wife, such as ownership of the house. 3. We are responsible for our own medical expenses when we become ill.
My lawyer said, "Please sign this, if you agree to be treated like a stranger after the marriage." My husband-to-be said he would review the conditions of the contract after 15 years. I signed it and entered married life. His former wife had been treated as an ordinary wife. She had her own credit card and shared ownership of the family assets. He paid her medical insurance and expenses. I get none of this however. I thought about getting my own credit card for my daily life, but he refused to get me a card in my name. I don't have a credit history in the United States, so I can't get a card on my own. I cook, clean and take care of three children. People may think I am a member of this family, but I don't feel like one. I feel like he has me chained to this house. I am willing to get a job in order to earn money, but he won't permit me to work outside the house. He forbids my going out with my friend and also forbids my getting a drivers license. I have a Japanese driver's license, so it would be easy to get an American one. He said, "You don't need a driver's license because I can drive a car for you." He doesn't allow me to go out alone ever, not even to walk the dog. In the contract, we agreed that we would have one child between us, but now he says, "I am looking forward to my youngest child leaving the house to go to college. I am tired of raising children. Why do you want more children?" Before marrying him I told him that I wanted to have children with him. If I had known he did not want to have a child with me, I would not have married him. His children tell me that they want a new brother or sister. His testament also mentions our child, but nothing is written about our child's rights of succession with regard to financial assets and keepsakes. I think he wrote about our child simply to persuade me to marry him. The house is full of family memorabilia pertaining to his former wife - a lot of family pictures but no pictures with me. I always take a picture for other family members, but no one asks me to get in the picture with them. He told me that his former wife had visited her old home by herself, so I told him that I wanted to stay at my old home if we visit Japan. He got angry and was displeased for days. He says that all of us should go to his former wife's old house so that the children could see their grandparents and stay there for a while. I told him that the children didn't have to come home with me. I can't understand why I am not allowed to stay with my parents. The children like me and I love them. I love my husband too. But I have some doubts about staying in this marriage without any rights as a wife and without having a child of my own with him. Two of the children are still in elementary school. I feel sorry for them if they lose their mother twice. I worry every day. The man you married is not your husband. However much you love him, you must come to understand the true nature of this relationship. You cook for him, you clean for him, you take care of his children and presumably you take care of his sexual needs as well. These are all services that, without a wife willing to do these things for him, he would have to pay for. You are not compensated for any of this, you are not allowed to leave the house, and you are kept apart from friends and family against your expressed will. You have many responsibilities and no rights. He is your master and you are his slave. That is the nature of your relationship and you agreed to it. You have made a bad bargain. Your lawyer should have advised you strongly against signing that agreement. If he didn't do so, he was negligent. If he did and you chose not to listen, you made a terrible mistake and you are responsible for correcting your own mistakes. The most important thing for you to do now is find a way out of this predicament. You have already begun doubting whether you can stay in this marriage. That's good. It means you are becoming aware of the mistake you have made. This man is using you and he doesn't give a damn about you. YOU MUST LEAVE HIM. NOW! You should not wait because this man knew what he was doing, and the longer you wait the more difficult he will make it for you to get out. I have no doubt that he has already considered that you will eventually wise up and want out. Keep your passport away from him. If he already has it, get it back! The reason you are not allowed to see your parents is because he either doesn't want them to know about your predicament or, if they already know, he doesn't want them to help you get out of the marriage. He probably already has plans about how he will manipulate you into staying, so you should begin making arrangements for your escape as soon as humanly possible. The first thing you should do is contact a local Family Crisis Center, or Women's Help-Line, or the Department of Human Services, or any similar organization that serves women in crisis. You will find the telephone number for such an agency in your local telephone book, probably at the beginning of the book under "Community Service Numbers." These will either be toll-free (1-800) or local calls. If your "husband" does not allow you telephone privileges, you can probably contact them via email. Obviously you have access to a computer and the internet, so it should be a simple matter to locate their homepage and contact them. Tell them what you told me, if you have difficulty with English forward a copy of this column to them so that they understand your situation. They can advise you regarding specifics about how to get away and direct you to a nearby women's shelter. Once you are out of the house you will be better able to plan your next move. Assuming you want to stay in the U.S., one positive outcome of your marriage is that you will have a Green Card which will allow you to stay and work in the U.S. As you pointed out you shouldn't have any difficulty getting a driver's license. There are ways of establishing credit too. I realize that you have formed an emotional bond with the children. They are not your children though, and when you leave the loss they feel will not be because you, it will be the fault of their father for mistreating you. It may sound cold, but under these circumstances you have to put your own needs first. Their father has gone to great lengths to provide for his children by exploiting you. When you are gone he may disparage you in front of the kids, but I'm sure he will find a way to see to their care. Your love for this man may be sincere, but he has no respect for your love and you will never find satisfaction in this relationship. 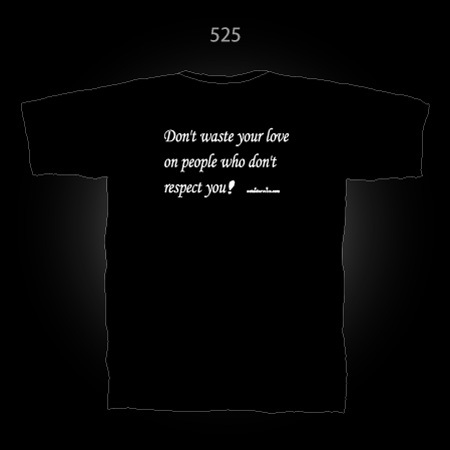 Don't waste your love on people who don't respect you! If you stay, your exploitation will continue and you will probably end up hating yourself. As it is, your self-esteem must be very low and you might consider therapy in the future to undo whatever damage has been done you. Whatever you decide to do afterwards, for your own sake you must get away from this man immediately.